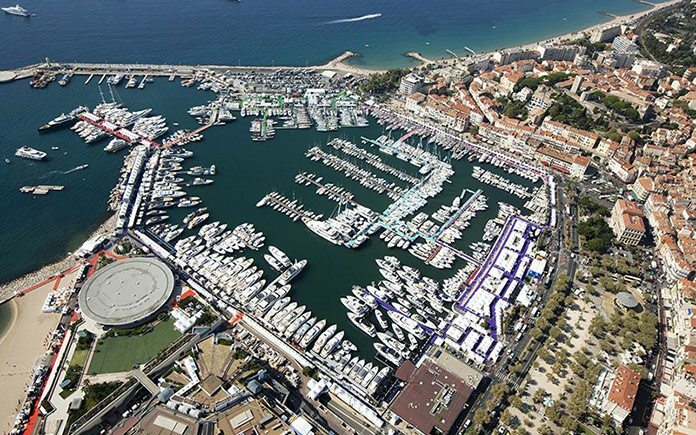 The 38th edition of Cannes Yachting Festival – the international in-water boat show – will take place between 8 and 13 September 2015 on the glittering Bay of Cannes, famed for glitz, glamour and international premieres. Marking the start of the international yachting calendar, with up to 100 world premiere boat launches, visitors to Cannes Yachting Festival are given the exclusive first chance to admire and test-drive the latest releases on the open water. Nestled in the heart of the French Riviera, the Yachting Festival is a prestigious event unveiling the finest jewels of the sea from all four corners of the globe. 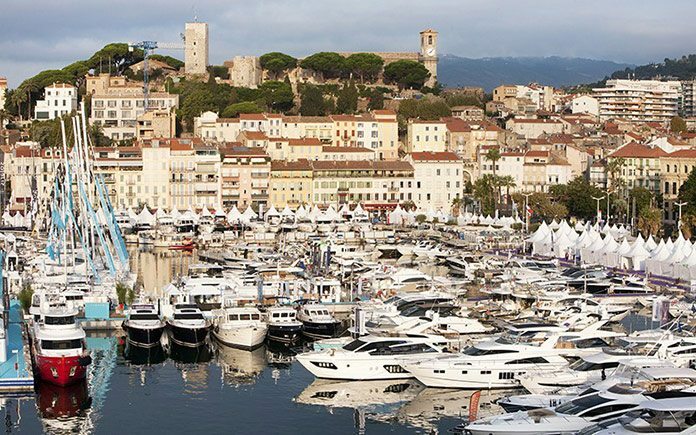 Following last year’s rebrand, Cannes Yachting Festival continues to strengthen its international and luxury lifestyle appeal. The Festival expects to welcome over 50,000 international visitors this September. The VIP Club, set on the rooftop of the Palais des Festivals, offers a privileged space to relax and enjoy champagne or canapés with panoramic views of the yachts exhibited in the Vieux Port. Arguably the most prestigious event on the yachting calendar, Cannes Yachting Festival has something for everyone; for fans of luxury motor yachts or sailing yachts, or those wanting to soak up the glamour that Cannes has to offer. True to its reputation, the show continues to improve, introducing its guests to the finest yachts, the latest technological innovations in the sector, the manufacturers’ newest models, all displayed in a luxurious setting, the city of Cannes and its two emblematic ports, the Vieux Port and the Port Pierre Canto. In the Vieux Port and the Port Pierre Canto, some 480 exhibitors, half of whom come from outside of France, showcase the jewels of yachting. The Festival welcomes over 50,000 visitors from all over the world, gathered together to experience special moments, full of discovery and emotion. This September, Cannes Yachting Festival goers will for the first time be able to take part in a Stand Up Paddleboard Race. The fifteen hour competition by night takes participants 100km along the famous Croisette, crossing the finishing line in the Vieux Port amidst Cannes’ biggest yachts. Stand Up Paddleboard Racing (SUP) has become one of the fastest growing water sports in history. Why? Because SUP is for everyone and anyone looking to get out on the water, have fun and get a great workout. The sport is increasingly popular with yacht owners, which naturally led to the introduction of the inaugural SUP relay race at Cannes Yachting Festival. Further enhancing the show’s lifestyle credentials, the race will take place on Friday 11th September 2015, which is the late night opening of the show. Kicking off at 7pm, contestants will paddle around a track of three buoys from the VIP pontoon on the beach, along La Croisette, to Grand Hyatt Cannes Hotel Martinez arriving at 10am the following morning. Candidates can take part solo or in relay teams of a maximum of four. In each category, singles or team, the winner will be chosen based on the number of turns in the race and the time in which they cross the finishing line. The award ceremony will take place on Saturday 12th September at 11.30am on the Festival’s beach. Registration costs 75€ for singles and 150€ for teams. Visitors can purchase entry tickets to the show on the Cannes Yachting Festival website, from 15€ per person, or 28€ for two. Cannes Yachting Festival has announced it will host its first nautical Concours d’Élégance this September. The parade will be staged at the heart of the show, in the Vieux Port, providing a spectacle of rare vintage and modern day boats to honour the rich maritime history. Cementing the show’s luxury credentials and entertainment offering, the Concours d’Élégance will take place on Thursday 10th September from 5.00 to 6.30pm. The event will be a unique occasion for visitors to admire a fleet of the finest classic yachts, antique vessels and powerboats, as well as the latest releases on display at Cannes Yachting Festival. Yacht enthusiasts and owners are invited to show off their day boats, and for them to be judged. A spectrum of boats from yesteryear and today will congregate in the port and parade one by one in front of a ‘floating’ jury and spectators. Boats will be drawn from three different categories including vessels from before 1975, those built between 1976 and 2000, and newer models built after 2000. Judging will examine every aspect from the quality of restoration, design of the boat and conservation status, with points for the history and rarity of the model, through to the elegance of the crew and quality of the parade. The jury will be composed of famous names from the yachting industry, Festival partners and journalists, as well as well-known experts and enthusiasts in these day boats. Following the procession, Cannes Yachting Festival invites participants, partners and Riviera card holders to a cocktail reception and award ceremony in the VIP Club from 7.00pm until 10.00pm. Registration for participation is free and includes a VIP card for two for the duration of the Festival. Pleasure yachting, cars, private aircraft, luxury real estate, jewellery and watch-making, fashion houses, saddlery and leather goods, tableware, gastronomy, interior design, high-tech… luxury is your universe, beautiful materials your reason for living, exceptional your catchword. The Cannes Yachting Festival creates a new area for you, entirely dedicated to prestigious brands and the biggest names in elegance. The Festival affirms its increasingly high-end reputation by launching “La Terrasse” on the rooftop of the Palais des Festivals. Ideally situated close to the VIP Club and the panoramic restaurant, it will enable you to introduce and sell your products, to a clientele who has a love of beautiful objects and yachting. 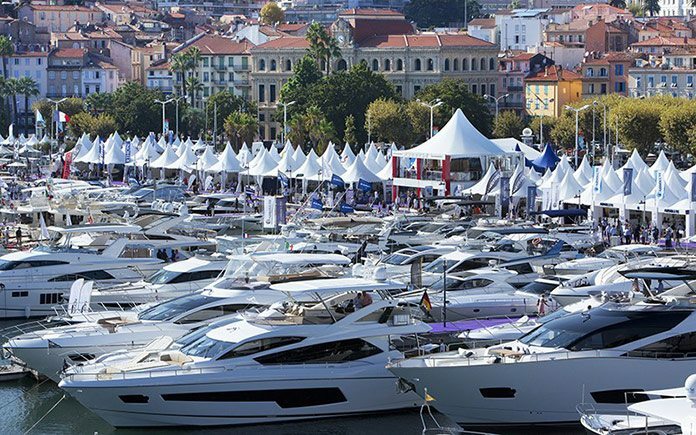 This new special area juts out over, on one side, the Vieux Port with its 500 yachts and, on the other, the bay of Cannes and its Croisette, offering its exhibitors a unique location right in the heart of the show. In this privileged setting, you can showcase your expertise, coordinate your marketing by organising new activities such as fashion shows, product launches, brand reviews, art exhibitions, luxury craftsmanship demonstrations.